A report by the Met Office says: “Although there have been a few chilly days and frosty nights in places during the month of May, mean temperatures for the UK across spring as a whole have been above normal by 1.4°C (using early statistics up to May 29) with Spring 2017 likely to rank among the top five warmest in our series back to 1910. 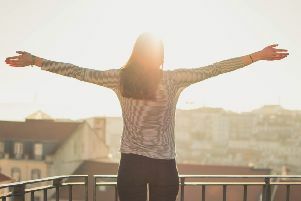 “Sunshine has also been plentiful for many this spring, which could result in a top ten ranking for the UK as a whole with sunshine hours around 12% above average with two days still to go. “It was a sunny May too, with Scotland and Northern Ireland seeing the brightest conditions with values currently running at 20% and 34% above the long-term average for the month. “For the UK as a whole, 79% of the May average rainfall figure has been recorded so far (55.2mm versus 70mm).